Larry Krug is a certified personal trainer and masters triathlete with 46 years of experience, holding presidential awards (Bill Clinton) in Weight Training, Sports and Fitness and Triathlon. He is the founder of “Fitness over Fifty” and has been featured in the Biscayne Bay Tribune for his work with age 50+ male and female athletes and fitness professionals in the areas of injury recovery, weight management and custom-designed exercise programs that make sense. 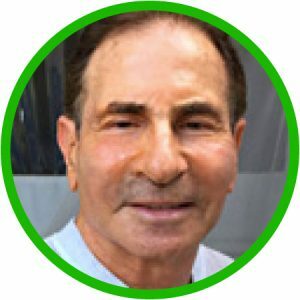 Larry is the personal trainer to Dr. Herb Ross, the developer of Prostate Aerobics, a breakthrough technique in over 40 male and female weight training. Wake up to fresh air, casual conversation and burn some calories before breakfast. We now have enough information to discuss methods of cardio fitness, weight bearing exercise and flexibility throughout life. The goal is to stay fit, strong, vertical and self-propelled. This talk will center on how to avoid injury and continue to have great fun moving your body, maintaining lean muscle mass and pumping iron and/or rubber. Trainer/coach/competitor/cancer survivor Larry Krug will discuss the do’s and don’ts of fitness for each age group, starting in the mid-twenties and going through the 70’s. (Larry is 73.) This will be an informal event with lots of group input, a great exchange of information and plenty of time devoted to Q&A.